If you are a subscriber to Comcast Xfinity, chances are it has never occurred to you to buy your own router. The subscription service allows you to enjoy the wireless router for Comcast and other internet accessories for a monthly fee. You thus believe you have got a good bargain. But let us take a look at that so called ‘good deal’. As a new subscriber, you may pay just a little fee a month and have your internet needs taken care of. As you get to depend on this service Comcast goes on to gradually increase their rates and you start spending more and more money. And if you think this is only applicable to Comcast, think again. All internet service providers follow this same unwritten rule; rates go up as subscribers become more comfortable with their service. And while I understand if you are still hesitating given the cost, buying now will save you much. Routers are long-lasting and if you use it with care, you may get ten years of solid use out of a router. Once you buy it, you no longer need to pay for the monthly fees for renting. It means you can offset your router bill with this money about one year or less. Renting internet equipment also means you do not have the freedom to choose the very best for you. You take whatever you are given so to speak and because it delivers, you are satisfied. But by the time you buy the best Comcast Xfinity router, your reaction will be akin to that of a man who thought he had the best of the whole world with his 2014 Mercedes SLS AMG Series with a top speed of 196mph only to get to drive the Bugatti Chiron capable of getting to 261mph! 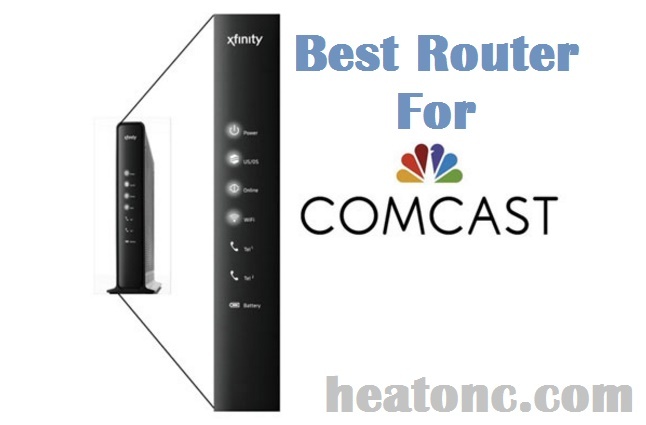 You may be torn between buying a modem-router combination or going for a router for Comcast. Both do have their advantages and in the end, you should buy what best suits your particular needs. We all love two-in-one packages and this is what this is. You get a modem and a router in one deal. It means you don’t need to do another shopping. The setup is quiet easy as the whole package is just one device. It is less expensive than buying a router and modem separately. Owning a router separately means you can adjust the settings to suit your exact needs. A combo unit may not be that flexible. If anything goes wrong, you can get a replacement in no time. The reason for this is that it is faster and less expensive to change a router or a modem than replacing a combination modem-router. Just go into a store and buy a replacement. In 30 minutes or less, you can get connected back to the internet. If you a modem-router combo stops working, it may not be so easy to buy a replacement. When you buy the best router made for Comcast Xfinity, it is sure that you will have better specifications. This means better performance which is the most important aspect of internet connectivity. Why Should I Buy When I Could Rent? Okay, so you are not yet convinced that buying your own router is better than renting. Let us look at the reasons that make buying the best option for you. Choosing Comcast as your internet service provider gives you the option to either buy your router/modem or decide to rent and pay a fee every month. But Comcast does not offer this equipment leasing service, Xfinity does. Since Comcast has to first pay Xfinity for the leasing service you enjoy which means they charge you a little more than most of their competitors would. The rental fee used to be at $8 a month but it is now at $10. It means you will pay as much as $120 every year. So, though you will pay a greater upfront cost (say around $90) when you are buying, in less than a year you have forgotten the pains while continuing to enjoy the benefits. Buying also means you enjoy unbelievable fast speeds. Comcast offers you a variety of subscription plans and you will be able to get one within your budget to suit your needs. Another reason to encourage you to own one’s router is the realization that you are no longer subject to Comcast’s periodic price adjustment. Any increase the company experiences in overhead costs, research for new technology, programming, etc will reflect in your fees. Rather than reduce their profit (which no business owner would do), they shift the buck to you. But are there no benefits to gain from the unit itself, you ask. Of course, there are! I have mentioned already that paying a (seemingly) small fee every month for renting may not look like a big deal to you. If it doesn’t, look at these other reasons why it is not advisable to rent a router from Comcast Xfinity. If you have family and friends that sometimes use your WiFi, renting will not make you enjoy the best. The old router may strain under the number of connections when other people are connected to it. It means file transfers will be slow and many people may not be able to stream videos at the same time. If you do not want to be bothered with ways to optimize your router’s performance, you have no choice than to buy. 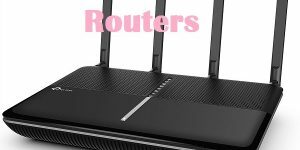 There is no internet service provider that will give out one of the latest models of routers for renting. But you can buy it. These newer models are capable of handling load balancing by themselves so you have no need to stress yourself. Are You Saying Buying A Comcast Router is The Best Decision? I will not be so quick to say that it is always the best decision. But there is only ONE condition why it may not be: if you are planning to relocate soon and may have to change to another internet service provider. So if you weigh it and realize it may not be best to buy, you can go ahead and rent. 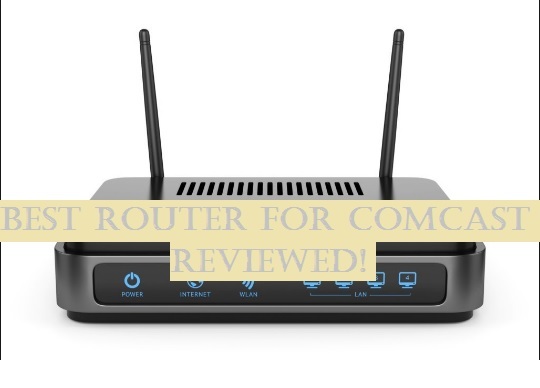 Having made the decision to buy the best wireless router or modem router for Comcast, it may be difficult going into a store and asking for such a product. A store owner will most likely tell you that whatever he has on hand is the best. Some may even give you their most expensive product without considering your particular needs. 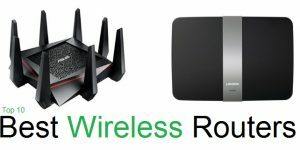 So What is the best WiFi Router for Comcast 2019? 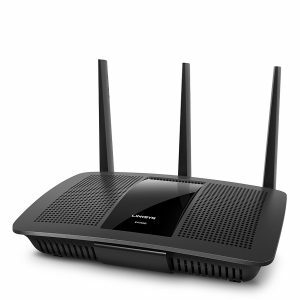 Linksys AC1900 is a well-built sleek router with a dark colored plastic body. It has a power switch such that network cycling becomes easier when errors occur. There are two detachable external antennas; one 2.4 GHz and the other 5 GHz. You do not need any special skills to set this device up. Connect it to your computer and type the web addressof the router. You will get a step by step instruction on what to do. After setup, it will ask you to create a Smart WiFi online account. The purpose of this account is for you to be able to modify your settings and generally monitor whatever goes on on your router. You can complete the device configuration in a few short minutes. The user interface is very friendly and gives you a pre-configured speed test as well as anetwork map. You can do anupgrade of the firmware without any difficulty and configuration requires no software; all you have to do is to use the browser. This router tested with a speed far above what customers expected. The original firmware that shipped with the router has been able to deliver unbelievably high speeds that have taken the Linksys into a class of its own. You can even pre-set your experience with its intuitive web interface. The Linksys AC1900 uses Beamforming Technology and is very reliable. A hands-on, always-in-control person may not love this product. But if you want a router that delivers amazing speeds without you needing to jump through hoops for installing and configuring it, you cannot do better than the Linksys AC1900. If you are using many devices that need access to the internet or you share data with family and friends, go with this router. It has double USB ports that are used to share files on the hard drive. It is of higher performance than parental control. It has an excellent range. The features are great; from media prioritization, troubleshooting to speed test. It has a high routing throughput. It is the fastest out of the tested routers. This odd-looking router looks more like what you would see in a sci-fi movie than in real life but it is real. The TP-Link AC5400 is no doubt a super performance gadget. When tested, the Quick Setup wizard came online at the speed normally attributed to light. If you buy this device, you are sure to enjoy thesmooth streaming experience all the time. Transfer of files was quick because Gigabit Ethernet port lived up to its name as it produced nearly Gigabit level speeds. It is easy to navigate with the navigation divided into two sections, the basic and advanced. The parental controls are of standard and the user experience is great. No matter the number of devices you connect to the TP-Link, rest assured that it will work smoothly. This device can deliver up to 1000Mbps on the 2.4GHz band and if you switch to the 5GHz band, its speed gets up to 2167 Mbps. It is a given that if many devices connect to it at once, it will impact on the speed of the data transfer. Despite this, you are sure to enjoy the speed of this device no matter the frequency band you use. When we tested the 5GHz, it got to over 800 Mbps. And if you use the Smart Connect Feature, it will improve its speed by a humongous Eighty per cent. The TP-Link AC5400 is sure to give you very fast connectivity; it can be relied on by gamers. 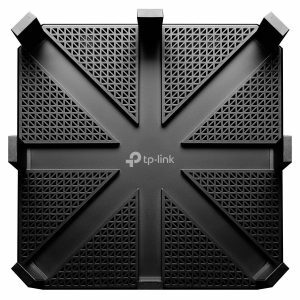 So whether you want to connect many heavy devices at once or making abig load of data transfers, you can rely on the TP-Link AC5400. It has a clear and user-friendly management console. It has a responsive and intelligent Smart Connect technology. This is what makes the grouping of the devices automatically to wireless bands possible. The performance of this device is simply wonderful. This router is quite heavy though to compensate, it can sit fairly low on any surface. This is the best Tri-band wireless router for Comcast. This device atri-band router and it too has a futuristic look. You can connect many devices to it at once without a loss of efficiency. Its Smart Connect feature allows it to adjust load balancing automatically. It does this by checking a client’s speed after which it will allocate it to a channel. This device is sure to give you top performance no matter the number of connected devices. It offers a combined bandwidth of 3,200 Mbps on the 5GHz and 2.4GHz bands. Even when over twenty devices were connected to the Nighthawk, its speed was good. It is safe to say that the 3200 Mbps promised is theoretical but the speed of this device is still very good. And if you need more than the 3WiFi networks it offers, you can use the 4 port Gigabit switch, the Gigabit WAN port, and 2 USB connections. If you are a large family with many devices to connect to the internet, go for the Netgear X6 (R8000) for you. It has an unusual and innovative design. It has collapsible antennas which you can fold up if there is need to for space. With its promised 3,200 Mbps bandwidth, you can be sure your home is prepared for the future. Its two points of access on the5GHz band can handle 12+802.11 ac clients for abig load of data transfer needs. It is easy to set up. Model MG 7315, a combination modem-router has been able to eliminate the clutter that would have come with the use of power adapter. 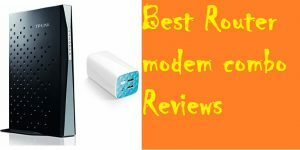 Contrary to what you may expect from a modem-router combo, it has a nice, sleek look that makes it a delight to look at whether in your home or the office. This model has 4 10/100/1000 Gigabit Ethernet LAN ports with which you can connect to game stations, high-definition TVs, computers, and any Ethernet-capable device. Apart from this, the connection between the router and modem occur seamlessly. Model MG 7315 has been certified by other internet service providers apart from Comcast Xfinity. Time Warner Cable, Bright House, Charter Spectrum, and Cox have also ratified it. The built-in Wi-Fi Gigabit in this device has 3 internal antennas; an advanced firewall that guarantees the best of security, and a built-in parental control capability. As regards speed, the device gets up to 343 Mbps as downlink and 123 Mbps uplink. The model works perfect with DOCSIS 3.0, 2.0, and 1.1 services and it also downloads 8 times faster than DOCSIS 2.0. The Wi-Fi works with IEEE 802.1 n, ac, g, and b devices. It means yourcomputers, smartphones, HDTVs,as well as game stations can be collected to it. It also supports both IPv4 and IPv6. With this device, you enjoy a high value and performance at a relatively cheap cost. You can do the set up in a few minutes. A look at the quick start manual that comes with it will put you through. A configuration manager with context-sensitive help comes with this device. The configuration will take you about 10 minutes or less. If you want a high-performance modem-router combo, the MG 7315 it is. So whether it is for an office or home, you will find it to your taste. It supports either 2.4 GHz connections or Ethernet connections. The Arris surfboard can hold its own in the world of routers and modems. This combination modem-router has gained traction with the popular Surfboard SB6183 and SB6190 models. The SBG6900-AC is a 3-in-1 device that has combined the high-speed DOCSIS 3.0 cable modem, dual-band concurrent 802.11 AC wireless access point, as well as a 4-port Gigabit Ethernet into a single powerhouse. With everything combined, you would not be out of point to assume that the end product is a bulky, unwieldy contraption. But, it is not. Rather, it comes in a lovely package with awhite finish, much like a small, portable air purifier. It is very easy to set up. A look at the Quick Start Wizard Guide will tell you what to do. Configuring this device will require that you have some knowledge of routers and how they work. You will also need some network knowledge. The process may ask that you change the pre-configured login ID and password, IP for the admin, and IP address for the device. You will then set up a very secure and hard to crack WPA2 password. 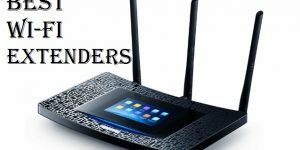 If you are used to the easy setup process of most routers, get someone to help you. The ArrisSURFboard SBG 6900 has a pre-configured high-speed DOCSIS 3.0 modem and a WiFi that has a total bandwidth reaching 1,900 Mbps. This device guarantees that you never experience buffering when streaming high definition videos or lagging during online games. It is for want of a better word, a powerhouse that delivers. A large family that does a lot of HD video streaming will find this device a good buy. It doesn’t have a power switch. The lights are extremely bright. Photophobics will find it difficult getting used to. 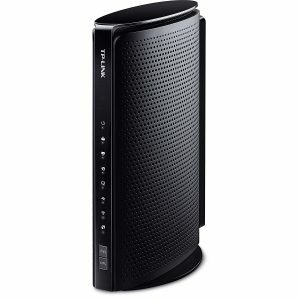 This is a combination of the AC 1750 WiFi routed with DOCSIS 3.0 cable modem in a beautiful package. This device possesses a fast speed, good range, and is compatible with most cable services, and great heat dissipation. With its many setting options, it gives you a lot of control to tweak to your satisfaction. Although bigger than most cable modems, there is enough ventilation under the unit due to the stand the lifts it up. The unit is very easy to set up. With the Netgear Genie Program, you can install the device then go ahead and also monitor as well as control your home network. 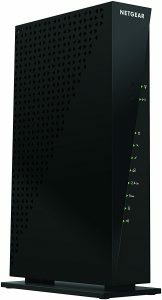 Once you connect the power, coaxial, and Ethernet cables, place acall to your cable company using Comcast.com/activate to help you register the modem. This is all it takes for it to start working. To check the specifications of the cable modem, look for a plastic piece on the inside of the unit. Pull it out to find information such as MAC address, serial number, model number, etc. You will find the web interface needed for configuration very easy to use. It operates in both the basic and advanced modes. You log on to the web interface with one account. Other advanced features are parental control, port forwarding and triggering, address reservation, DMZ, and separate MAC filtering for the primary as well asguest network. 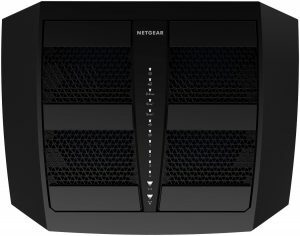 The Netgear AC 1750 is quite fast as regards internet speed. It gets up to 680 Mbps and its Intel Puma 6 processor supports 16 download channels and 4 upload channels, all at the same time. It can work seamlessly with all of the latest WiFi devices. Memory is 128MB flash and 256 MB RAM. The C6300 simultaneous dual-band technology gives you a good range and reduces interference. This makes a very good choice if your aim is to enjoy the best of WiFi connectivity throughout the length and breadth of your house. If movies or gaming is your thing, its advanced QoS technology means a guaranteed smooth high definition low-latency online gaming and video streaming. You can also share files with the Ready Share USB available on the USB drive. You are sure to have a good HD video streaming and online gaming with this device. It is suitable for home use. It has excellent coverage range. You can enjoy guest network using the two bands. There is asecure wireless connection. It comes in a bulky design. It has a slow administration interface. The TC-W 7960 modem/router made by TP-Link is CableLabs Certified and performs very well on Comcast. It is quite efficient with an average 8 watts in bridge model and 11 watts in router model. It is also the cheapest router/modem that you can get while still giving you a great delivery. Its wireless N technology can give up to 300 Mbps data transfer rates. It has 4 upstream and 8 downstream channels with the speed of download getting as high as 343 Mbps. You can also get upload speed up to 143 Mbps which means you get to enjoy the best of speed for your money. With its 2.0 USB port, you can share files, music, photos, and videos. It also has both IPv6 and IPv4 allowing you enjoy the latest in internet protocol. Its DOCSIS 3.0 technology gives you speeds eight times as fast as the DOCSIS 2.0. This device has a 4 Gigabit Ethernet that delivers up to 1000 Mbps of stable wired connection. You can use it with Smart TVs, game consoles e.t.c. Its wireless network is capable of supporting many devices at once. You can set up the TC-W 7960 without fuss as it is quite straightforward. Follow the instructions you are given online: plug in the device with the DC power, coaxial connection. Plug the Ethernet to your computer and switch it on. Make a call to your ISP for them to activate the unit. You will need the MAC address at the bottom of the unit. Once your service provider has verified its connectivity, you are home free. After it has connected, log in to the device’s interface and choose a setting that suits your need. You will be able to navigate the interface quite easily and if you desire to run the latest revisions, use the firmware update. With its USB 2.0 port, you can access printing and storage devices. Let such devices have no more than a 500mA power requirement but if they do, use an external or separate power supply. This device is good for a house that has low WiFi demand or an office. It has an easy to use web interface. It is cheap with many features. It comes in a sleek design. There is no aftermarket firmware support or upgrade for it. It has only 2.4 GHz WiFi. It does not support N speeds above 300 Mbps. 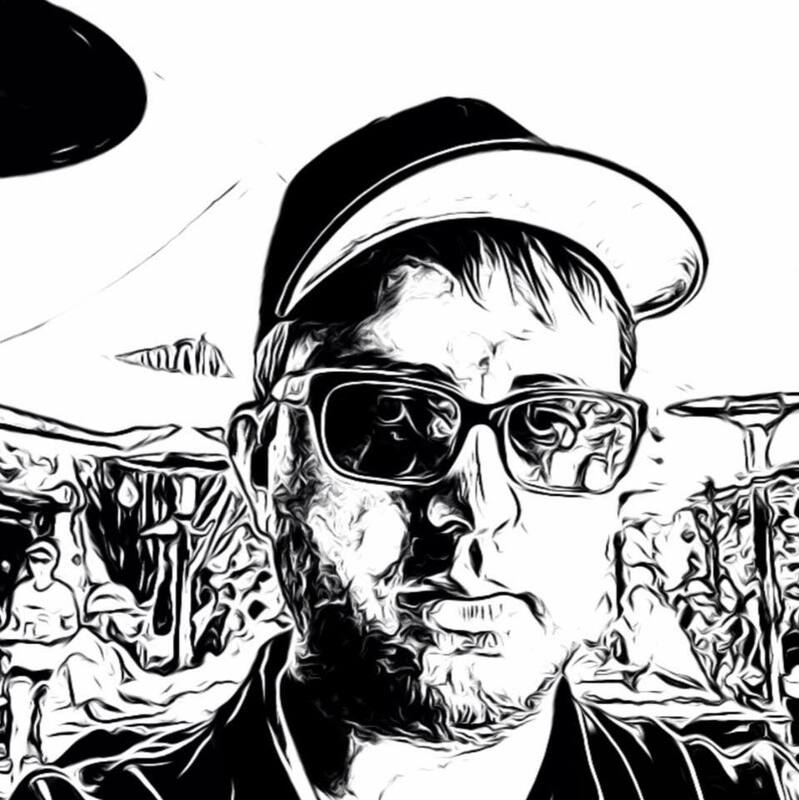 I am Robert Gomez, a Software and Tech. savvy guy. Heatonc.com is a participant in the Amazon Services LLC Associates Program, an affiliate advertising program designed to provide a means for sites to earn advertising fees by advertising and linking to amazon.com, .co.uk, .ca. Amazon and the Amazon logo are trademarks of Amazon.com, Inc.